I have seen the attached advertised as a genuine English Civil War breadtplate. Nothing particularly rare or unusual about it. I am, however, quite new to this game, so I'd be grateful for any comments on what people could tell me about it. My view is that it is the right style for the age: the peascod shape would indicate late 16th to mid 17th century dating. As for genuineness: looks OK to me? The blackened finish looks akin to what I'm used to seeing for Civil War armour. What do you gents think of this? Thanks in advance. Collector of original 16th-17th century European arms and armour. Would like to collect earlier, but budget doesn't allow- yet! I would say go for it. It looks genuine enough, the edges aren't sharp, the wear is in natural places, and it doesn't look anything too fancy for someone to try and fake it. I am not familiar with those knobs on the front, but I'm not a armour expert though. The only Civil War I'm well acquainted with is the American one. The peascod shape would put it a bit earlier than the civil war. by then they have grown shorter, if thats not too mangled a phrase. I don't like it. It smells Victorian to me. What does it weigh? Is the last photo a shot of the inner surface? I see what appears to be a shot of the backside of an armpit roll, and a patch of chipped paint that shows no obvious hammer marks. I don't like the shape I seem to see at the line of the vestigial fauld. Here's a photo of the inside of a typical Italian peascod. Thanks Alexander- the knobs on the front are for the attachment of the shoulder still straps from the backplate. The knobs are mushroom-shaped, and would fit into a keyhole-shaped hole on the end of the shoulder straps. I've no idea on the weight- I have only seen it online, not in person, and I haven't handled it. I thought from the photos that it looked quite weighty. Apparent absence of hammer marks is interesting- though I have seen several good examples where the marks are extremely feint. Thanks for your advice. I was waiting for James to weigh in as he's got more experience on this side of things but i concur with everything he says. Its probably a nice later effort but it doesn't say period to me, there too much non standard going on there. Avoid any ECW breast/back plates unless you can handle them in the flesh and see delamination of the duplex or triplex construction. The originals I have managed to handle are all duplex at least and some evidence can usually be found along an edge of the armour or where corrosion has eaten through one of the outer layers. Also, consider going for something with armoury marks. 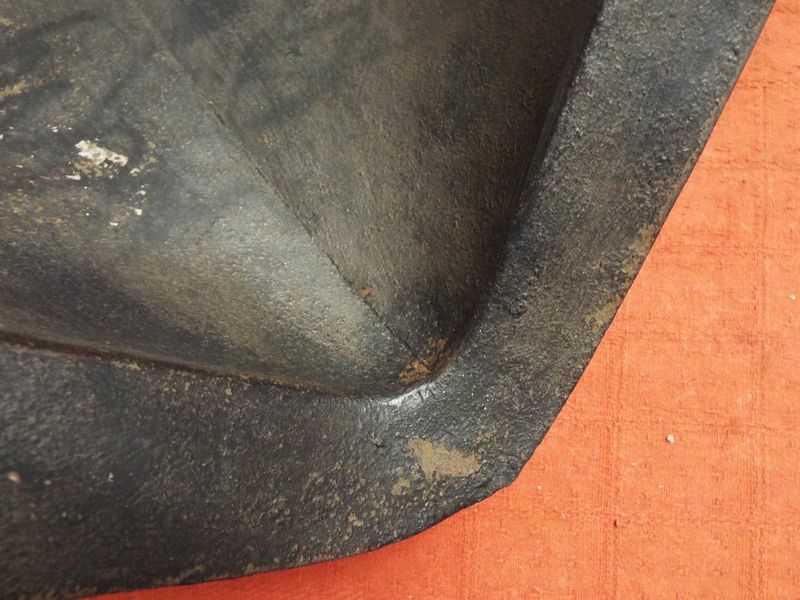 Thanks Jonathan: a further beginner's question- what is "delamination" and how can you spot it? 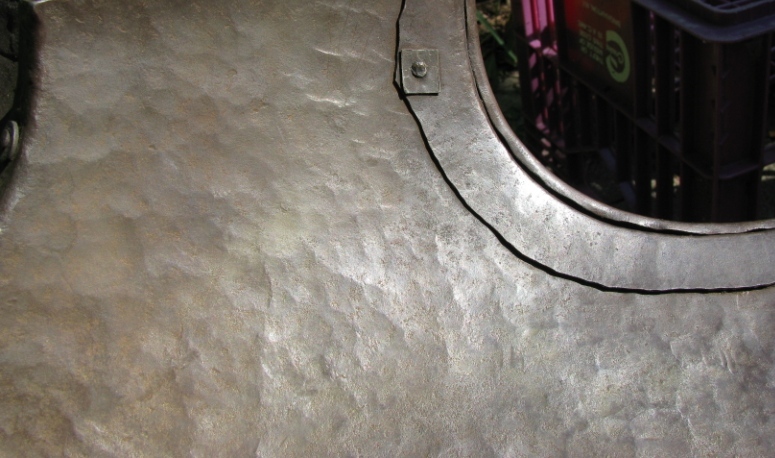 Does it, as the word suggests, concern the layering of different sheets of metal during the forging? And would it then be visible by striations or from a separating or peeling of the layers? The thing that might give me pause here is that it almost looks welded up the middle. 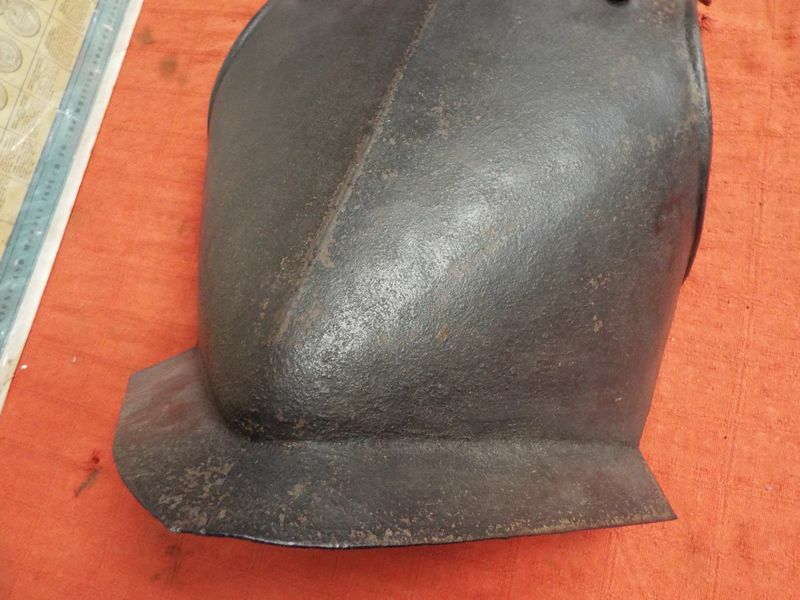 I think I recall that some helmets of the period were welded halves, but I don't know if breasts were made that way. Welding would be fine for a Victorian reproduction, but raising a breast would have been a fundamental armouring skill. Could just be a trick of lighting and texture. Sorry I can't comment authoritatively! Aye exactly! Many of the originals were made from layers of thin sheet welded together: sometimes 2, some 3 and I have seen a 4 somewhere for sale. I suspect this was intentional, as the RA article suggests, something akin to laminated armour on MBT's today. 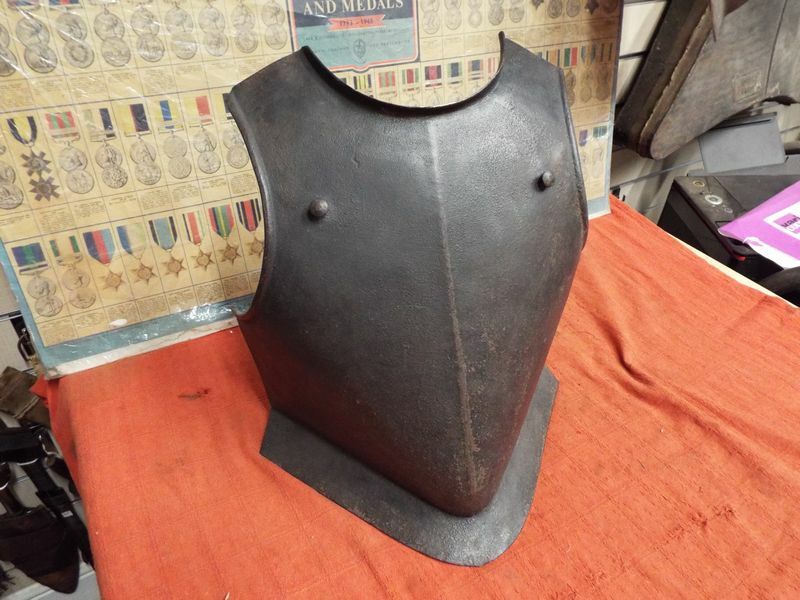 I have a copy of the article somewhere about the study of duplex armours but I don't recall reading any hardness tests of the different layers - will try to find it and post a link. 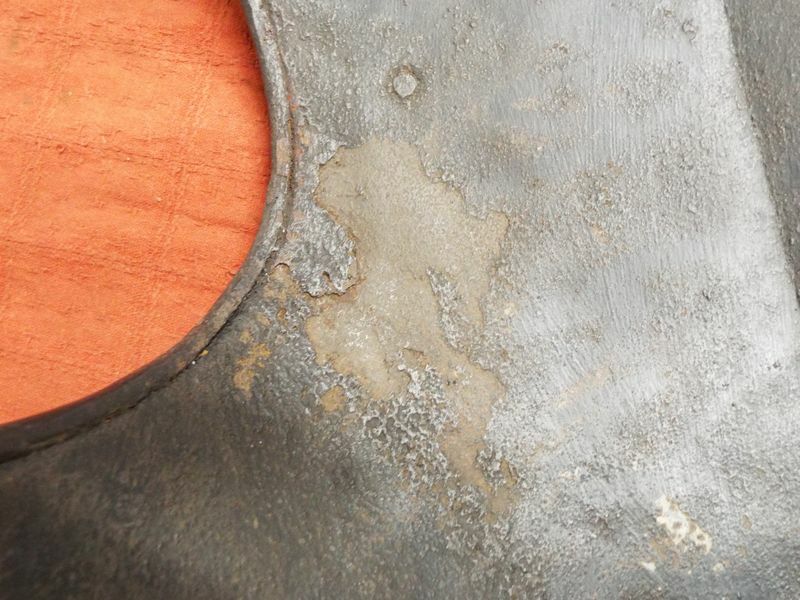 Look for delamination, or separation of the layers, usually visible where the armour is rolled over at the arm and neck holes and often seen in small sections along the edge of the skirt. As an anecdote, York Antiques had a stunning '1st century gladiators sword' for a very reasonable price about 6 months ago and I would normally steer well clear of antiquities for fear of good fakes (and did in this case for want of the asking price!) 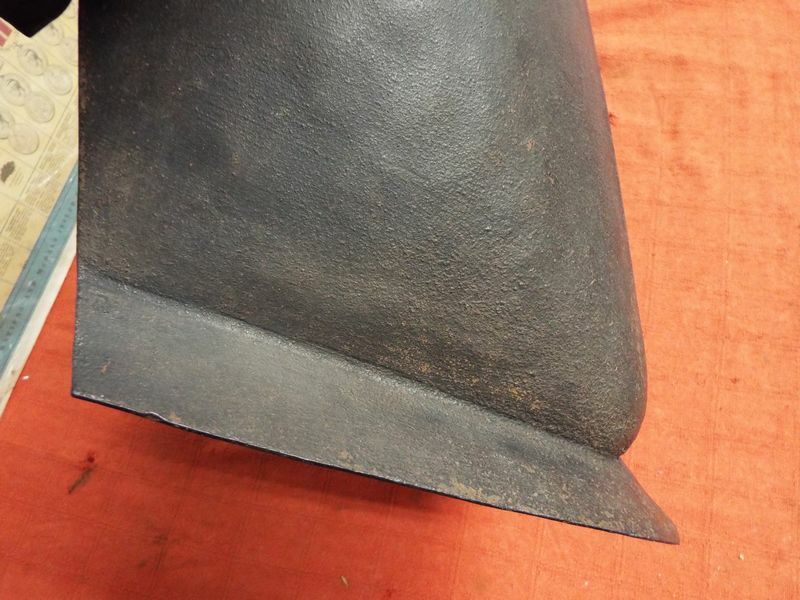 but from getting a close look at it, it was a convincing original Pompeii gladius; the method of construction clearly visible in the tang where the outer jacket of iron/steel had separated away from the innermost core of the blade. My eyes nearly popped out of my head, especially as you could have hilted it up and put it to use after nearly 2000 years. Jonathan and Sean- thank you very much both for yoir further advice. I'll take a look at the link to the Royal Armouries article later today. I really appreciate the help and knowledge-sharing that all users on this forum are happy to engage in. Thanks again to you all.